Lock in a great price for Pensión As Burgas – rated 8 by recent guests! Property and location were great, it was just a little tough finding the person to let us in but it didn't take long after asking a few people fo help. I would recommend it, it was very clean, comfortable and quiet. Clean, comfortable, good A/C. Beautiful river nearby. Self-service laundry and markets nearby. The place was clean and cozy and check in next door was easy. Well maintained, staff excellent, they went out of their way to make sure you had everything. Nice big clean room, comfy beds, clean bathrooms. Very clean and room (4 beds) were spacious. The breakfast was also a good start for a long day. Very clean and fresh. 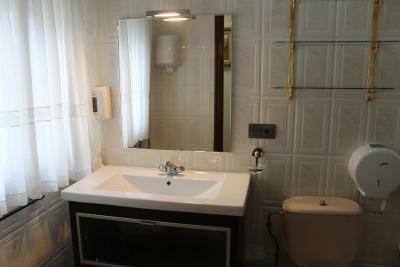 Nice room and bathrooms. You feel at home because it's small, only. 5 rooms. Fantastic reception by friendly and very helpful staff, room adorable, location perfect for Camino de Santiago and Spa. Pensión As Burgas is offering accommodations in Caldas de Reis. The air-conditioned rooms provide a city view and come with a desk and free WiFi. At the guesthouse, each room is equipped with a closet and a flat-screen TV. 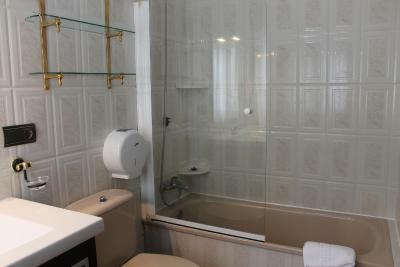 The rooms are equipped with a shared bathroom with a bath. Guests at Pensión As Burgas will be able to enjoy activities in and around Caldas de Reis, like cycling and fishing. Santiago de Compostela is 27 miles from the accommodation, while Pontevedra is 14 miles from the property. The nearest airport is Vigo Airport, 34 miles from Pensión As Burgas. When would you like to stay at Pensión As Burgas? 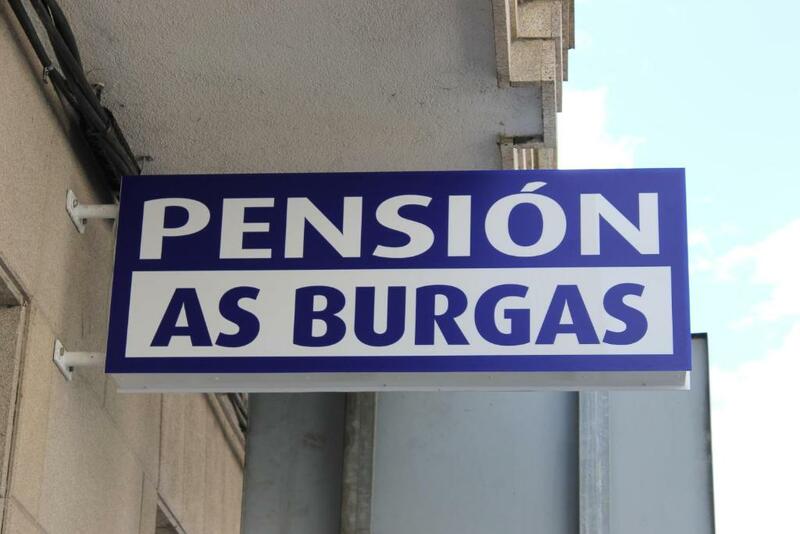 House Rules Pensión As Burgas takes special requests – add in the next step! Pensión As Burgas accepts these cards and reserves the right to temporarily hold an amount prior to arrival. Had to phone a number to be checked in and wait. Didn’t see any staff after that. Advertised laundry service but there was nobody on site. We had booked this particular place as laundry was advertised (as service) , we were walking with our packs so needed to wash our clothes, Smell in reception and bathroom. Strong smell of burning food from another part of the building. Location for the Caminho Portugués. We agreed to send our luggage on and the lady told us to leave it at the reception desk and to deposit our keys as the luggage would be collected. We left the building only to find the courier waiting outside in his van prepared to collect our rucksacks. So we had to knock loudly on the door thankfully 2 very kind German ladies who we met the night before let us in. The host kindly did our laundry on request so we shared the load with the German ladies and the charge was 6 euros. shared bathroom but they are two, one little and bigger one, a little tricky to check in. you have to ask in a store on the right of the entrance of the building, it is the store with clothes. Too few toilets. No toilet paper. No wash basin in room. 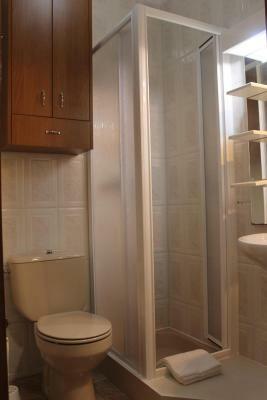 More facilities in municipal albergue. It was central enough to town centre. Very clean room, nice shared bathroom.